Recap, some notes and a photolog of the mini races that I took part in over the months of October and November. Thanks to Frost & Sullivan for sponsoring 1 team of 4 and 4 individuals from Puma Malaysia to take part in this trail run. 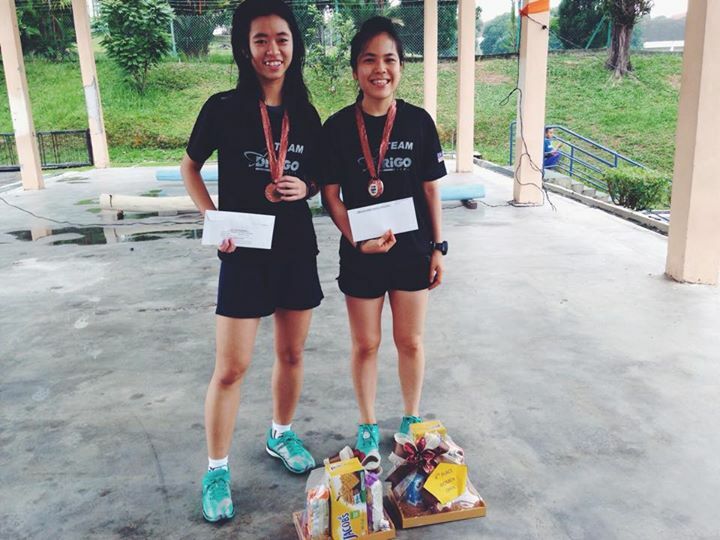 It was my first official trail run and also my first time running in FRIM. I’ve always wanted to go to FRIM! I guess I finally did. 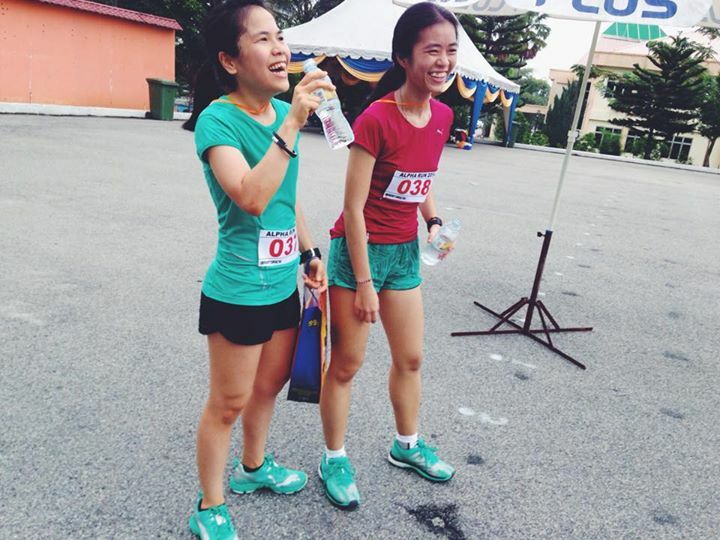 It was definitely not the best idea to do a trail run 6 days after running the Standard Chartered KL Marathon. My body was still in recovery mode. The route was hilly, rocky, slippery, steep and muddy! Everything you’d expect from a trail run. It was also the first time that I had to slow down to a walk during a race. I guess this breaks my no-walking streak! The hills were too steep and my legs were just not in the right shape. My hamstrings were screaming! It was a pretty tough route but I had a lot of fun! It was a little over distance (9.3KM instead of 8KM). 1, 2, 3 & 4! Going nuts! Our prizes! Top 3 for the individual category (Mixed men & women). Team and individual. The Puma Team owned the race! We won the team challenge and the 4 individuals were in the top 4! Sweet! I guess we won’t be getting another invite anytime soon (Ooooppss). CAPAM International Run This run took place after the Frost the Trail Run! 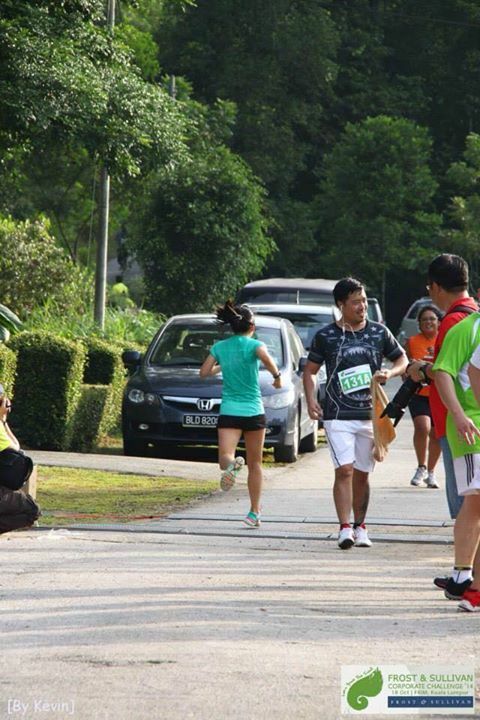 I didn’t realise that I had signed up for a back-2-back race weekend just a week after SCKLM 2014! Legs felt like lead. I was extremely tired and the trail run the day before killed my knees! With our coach who won 1st place in his category. Puma Night Run Read about it here. DNS for this as I was down with fever. 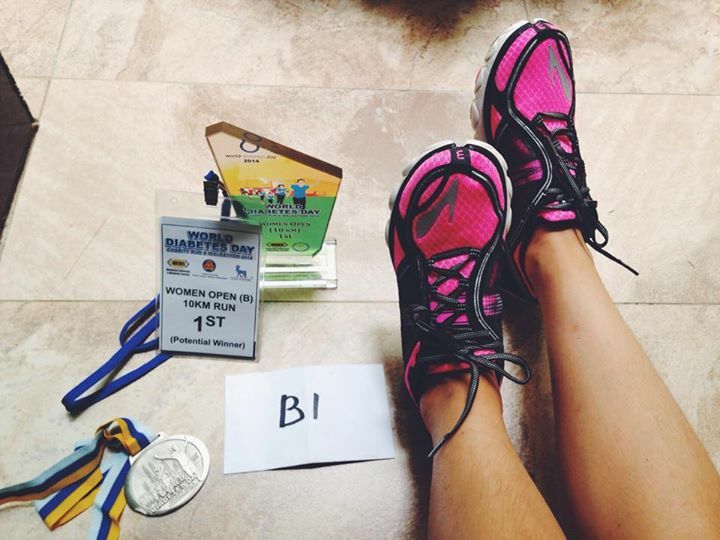 After the back-2-back race weekend, my body decided to give up on me. I suffered from insomnia (probably due to overtraining/running) and fell sick after the Puma Night Run. I was in bed for 3 days trying to recover from the flu. It hit me hard and my body was not able to fight it. I still felt ill on the morning of the Alpha Run. Good thing the route was under distance (about 8.8KM). 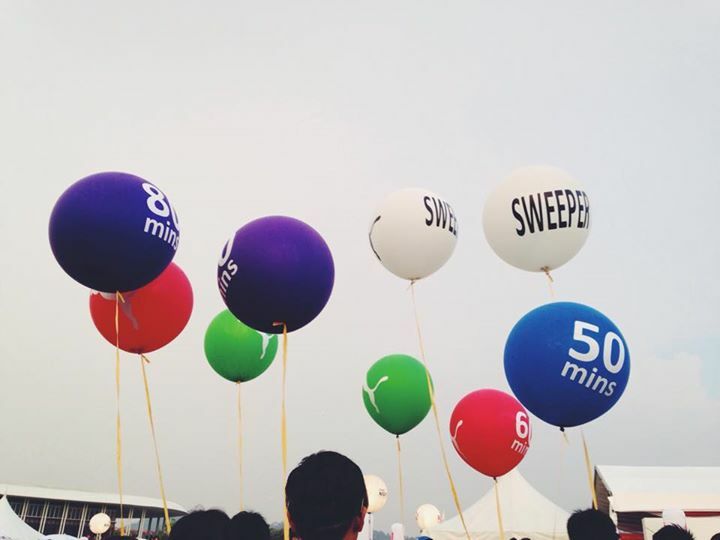 This was a small scale event aimed to raise awareness of diabetes. It was a great run on familiar grounds. Made a few new friends too while waiting for the prize giving ceremony! Signed up for this run for the sake of it! I just wanted to make up for the time where I was 10 minutes late for this race last year! I was feeling lazy and signed up for the 5KM run instead of the 10KM. No. 2 for the both of us. Managed to squeeze into 2nd place behind the super fast small kid! The race took place around SkyPark One City, an area that I have not set foot on before. Upon arrival, I was surprised to see many families and young runners (a good sight). Many of the usual suspects were not there. Then again, there were close to 15 races over this particular weekend. Still, I had expected to see more familiar faces. 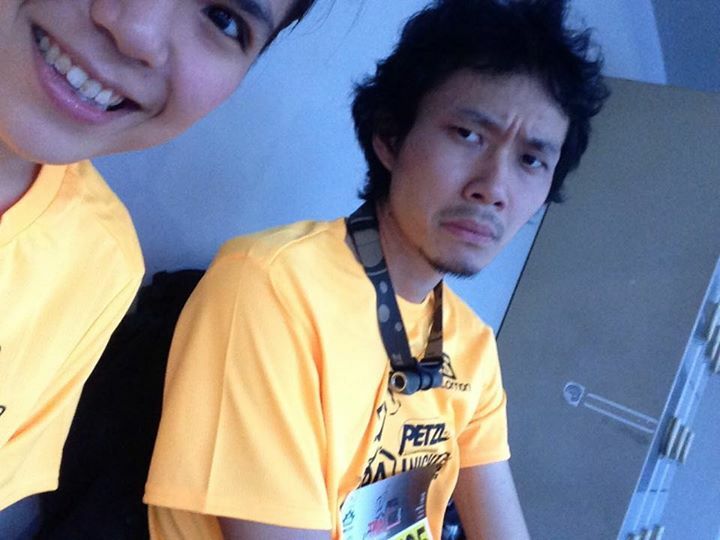 I was glad that Peng Peng (fellow Puma Pacer) was there! I was at the starting line just 5 minutes before the flag off. I was busy queuing up (20 minutes) for the toilet! Overall, the race was pretty well organised except for the last stretch where we merged with the 5KM group. TOO CROWDED! The best part after the race was of course, the (FREE!) food! We were each given a food card where we could go collect our food at the independent stalls that were set-up (Coffee, fruits, pancakes, Baskin Robbins, sandwiches, chocolate milk, biscuits, milk etc). Had a lot of fun strolling around and queuing up (brushing against other runners) for food. I finished 2nd behind Michele Tan. It was nice meeting her and we had a good talk after the race. We had loads of time to kill before the prize giving ceremony. Much of it was spent relaxing and watching all sorts of performances on stage (magic shows). They even had giant robots walking around! SO COOL! If you’re a casual runner looking for a good time after the race with loads of food, THIS IS IT! My second trail run! I regretted this decision (to run) the day before because I was suffering from lower back aches. On top of that, I didn’t have proper trail running shoes AND it is a night run. I settled for my Puma Mobium Ride NightCat series. I have to say, it held up pretty well. We were there 3 hours before the flag off (8.45pm for the Women’s Open) to collect our race kits. We killed time by watching other people pulling off stunts at the skate park. It brought back a lot of memories from my skating days. I will invest in in-line skates soon! The women’s group were off 15 minutes after the men’s group. I started off in 3rd place and soon made my way to 2nd place behind Amelia. It was a few KMs of road before we hit the trails. It was dark, though we had our Petzl headlights on. As soon as we hit the trails, my paced dropped. It was hard navigating through when we caught up with the men’s group. The trails were narrow and most of them slowed to a jog/walk. It was muddy and slippery too. I recall tripping/slipping on my ankle 3 times! GAH! I came to a point where there were only a few men in front of me. We were at a fork road and I followed them down (left) instead of heading up. Halfway through, a few of them realised that we were on the wrong track because there was no one else ahead of us. Also, we didn’t see any glow sticks along the trail. Soon, we were off the trail and started sliding down and then climbing/crawling on all fours back up. Luckily we spotted the pack ahead of us. PHEW! That was close! We had no idea how far off we went but I was still in second place. It was a really fun trail route and getting lost added an element of excitement! PHEW! That sums it up! Will you be joining any other run in December 2014? Thank you! Did you race? yup i did but only 12km, how about you? i was supposed to do the 21KM but i was too tired. I raced the day before. 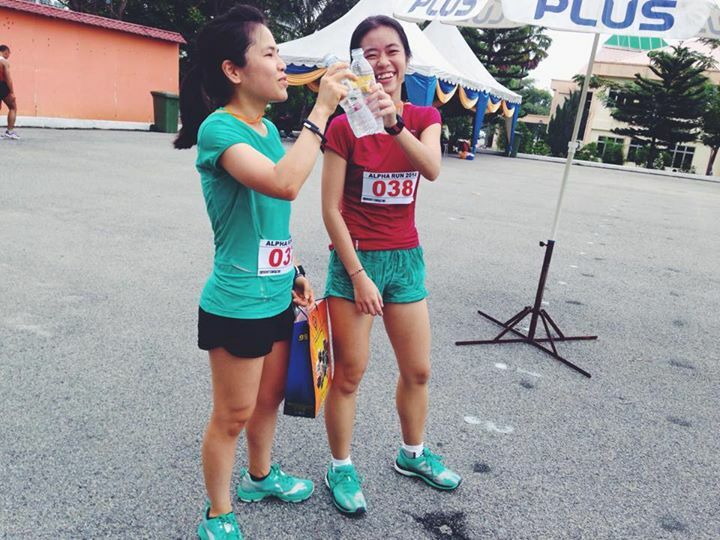 How did your 12km go?